For the settlement in Qatar, see `Unayzah. Unaizah (Arabic: عنيزة‎ ʿUnaizah) or officially The Governorate of Unaizah Ruled by the House of Al Sulaim (also spelled Onaizah, Onizah, or Unayzah; Arabic: محافظة عنيزة‎ Muḥāfiẓat ʿUnaizah) is a Saudi Arabian city in the Al Qassim Province. It lies south of the province capital Buraydah and north of Riyadh, the capital of the Kingdom of Saudi Arabia. It is the second largest city in Al-Qassim Province with a population of 163,729 (2010 census). Historically, Unaizah was an important stopping point for Muslim pilgrims coming from Mesopotamia (now Iraq) and Persia (now Iran) on their way to Makkah. Many scientists and historians believe that Unaizah was inhabited hundreds of years before the spread of Islam, citing its reference in numerous poems from some of the most important poets of pre-Islamic Arabia such as Imru' al-Qais. Unaizah is in the south of Al-Qassim Province and at the heart of the historical region of Najd. It is located roughly 30 kilometers from Buraydah (the capital of the province) and more than 300 kilometers north of the Saudi capital, Riyadh. Unaizah lies in the northern-central region of the Najd and to the south of the Wadi al-Rummah (Rumma Valley), which is the longest valley on the Arabian peninsula. It is surrounded by sand dunes to its north and west, which are known locally as the Al-Ghamis Sands. The Al-Ghadha Woods are located to the north of the city.Next to Unaizah is the Al-Aushaziyah salt lake (or Sabkha), which is considered an official part of the city. Unaizah has a typical desert climate. Its winters are cold and semi-rainy, and its summers are hot, aneroid summers with low humidity. The summer weather of Unaizah is sometimes described as balmy to nearby farms that surround the city. So with this kind of weather Unaizah got famous as one of the biggest city for planting dates. Unaizah is an agricultural area and produces wheat and barley of various strains. The region also grows grapes, grapefruits, lemons, leeks, mandarins, oranges, pomegranates and dates. Leeks (kurrat) are a very important part of the local culture of Unaizah. They are popular among the locals and comprise a significant portion of the local agricultural industry. An annual Date Season Festival has been held in September since the early 2000s, giving Unaizah the distinction of hosting the second largest date festival in the Persian Gulf and the Middle East. The festival rivals the date festival of neighboring Buraydah's, which is sometimes known as "Buraydah, the City of Dates". Unaizah's 2008 (4th) annual Date Festival was known as the "Unaizah International Date Festival", though the city's title "Unaizah, the Kingdom of Dates" was retained as a motto. Many people from different places of the Middle East come to see this festival and buy dates because they know there is a good quality of dates. Unaizah is home to some pioneers in education; the first Saudi person from Al-Qassim Province to earn a PhD. degree was from Unaizah, and his name was Dr. Abdulaziz Al-Khowaiter. The first Saudi female from Al Qassim Province to earn a PhD degree was also raised in this city. Her name was Dr. Ebtisam Al Bassam. One of the first cities to embrace female education in Al-Qassim Province and Najd was Unaizah. It faced resistance from neighboring provinces and brought Unaizah at the forefront of a national debate. After lengthy negotiations, the capital city of Qassim, Buraidah a sister city of Unaizah, officially recognized the right of an education for females, partly due to King Abdulaziz's interference in settling the dispute. Today, there are many public schools in Unaizah for all three educational levels (primary, intermediate, and secondary). There are also two private schools and one private international school. There is also a boys' technological secondary school in the city and a technological college, as well as a girls' educational college. Qassim University is located approximately 30 kilometers north of the city, and enrolls both males and females. The people of Unaizah are well known for their hospitality and acceptance for people from other races and religions. The famous Charles Montagu Doughty lived in the city during his odyssey and wrote highly about the city. Amin al-Rihani (the famous Franco-Lebanese scholar and traveler) spoke highly of the city's architecture and works of art in his book "Kings of Arabia" likening it to Paris thereby coining the nickname "Paris of Najd" for the city. There are twelve tourist festivals and activities recognized by the Saudi Commission for Tourism & Antiquities, and a calendar has been made for these events. Al Bassam Mansion, a traditional house and a private museum . Al Hamdan House, a traditional house and a private museum. Dream Land, the largest theme park in Al Qassim Province and as reportedly the Central Region. The Unaizah House for Traditional Legacy. Al Fahd Crown (under construction). Radisson Blu Hotel (under construction). Although Unaizah is thought to be relatively more accepting of visitors than its neighbors, its tourism industry faces criticism for a number of reasons. One such criticism is its disregard for infrastructure maintenance. All of the Saudi citizens of Unaizah are Sunni Muslim with a small minority of Dharmic religions, (mostly Hinduism) brought and practiced in the city by Asian workers (mainly Indians). As the rest of Saudi Arabian cities, non-Islamic worship houses are not allowed. The majority of the city's inhabitants are socially conservative. One of Saudi Arabia's leading religious clerics Muhammad ibn al Uthaymeen was a student of the late Sheikh Abd ar-Rahman ibn Nasir as-Sa'di, an Unaizah native. Muhammad ibn al Uthaymeen himself was born and raised in Unaizah. He lived in Unaizah until he died, where many mosques have been built and named after him. The Qassimi cuisine in general, and the cuisine of Unaizah is very famous for its delicious food, and for its renowned and tasty traditional meals such as Jereesh, Margoug, Gersan, and Metazeez. As for sweets, along with other Qassimi sweets, the Qassimi Kleeja is a well-known sweet all over Saudi Arabia and other Arab states of the Persian Gulf. Like other Saudi cities, the Najdi Kabsa is the most traditional lunch. The Yemeni Mandi is also popular as a lunch meal. Fast food is also popular in the city. McDonald's, Subway, Starbucks, Domino's Pizza, Herfy, Pizza Hut, Pizza Inn, Little Caesars, Hardee's, and KFC among others are widely distributed in Unaizah. Unaizah is very active in terms of sports. Football is the most popular sport all over Saudi Arabia, and it is very popular in Unaizah, it is played in school's P.E. (i.e. Physical Education) lessons, and it is common to see a group of kids playing it in the streets. There are two local clubs in Unaizah, the Saudi Al Najmah club, and the Al Arabi club. Unaizah is served by six major Arabic-language newspapers, Al Jazeera, Alriyadh, Okaz, Al Watan, Al Hayat, Al Yaum, as well as one English-language newspaper, . Unaizah has one local magazine, that issues every four months, it is called Paris Najd, named after the widest spread nickname of Unaizah. In addition to many other national and international magazines distributed everywhere in the city's markets. Television stations serving the city area include Saudi TV1, Saudi TV2, Saudi TV Sports, Al Ekhbariyah, ART channels network and hundreds of cable, satellite and other specialty television providers. The city has been ruled by the Al Sulaim family since 1818. They came to power when Prince Yehya Al-Sulaim in 1822 killed the governor appointed by the Ottoman emperor, Abdullah Al-Jamei. This dynasty still rules the city according to a written treaty between them and the Saudi royal family. 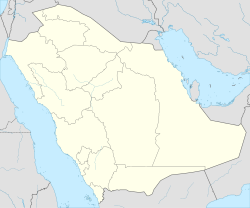 Some of the most famous families in Saudi Arabia originate from Unaizah, including Al Juffali, Al Ohaly, AlGarawi, Al Ghothami, Al Hatlani, Al Ghumayz, Al Sulaiman, Al Hamdan, Al Akeel, Al Fadl, Al Tamimi, Al Zamil, Al Olayan, Al Bassam, Al Gadhi, Al Matrody, Al Salloum, Al Saheel, Al Subaiee, Al Senany, Al Mansour, Al Yahya, Al Thukair, Al Turki, Aldubayan, Al Shoshan, Al Shubaili, Al Shebel, Al Damigh, Al Othaimeen, Al Malloohi, Al Marzooki, Al Manei, Al Se'di, Al Abeeki, Al Dabibi, Al Khwaiter, Al Sowayil, Al Daffaa, Al Jaffali, Al Dukhayyel, Al Dakheel, Al Abdeli, Al Suhaimi, families and many others. Unaizah Governor Musaad Al-Sulim from (2007–2011). Abdulaziz al-Hazzaa, comedian notable for his different voice levels. Abdulaziz al-Nuaim, member of the Saudi Shura Council. Muhammed Al-Dabibi, Former Goalkeeper for Al-Najma SC and the Saudi International Team. 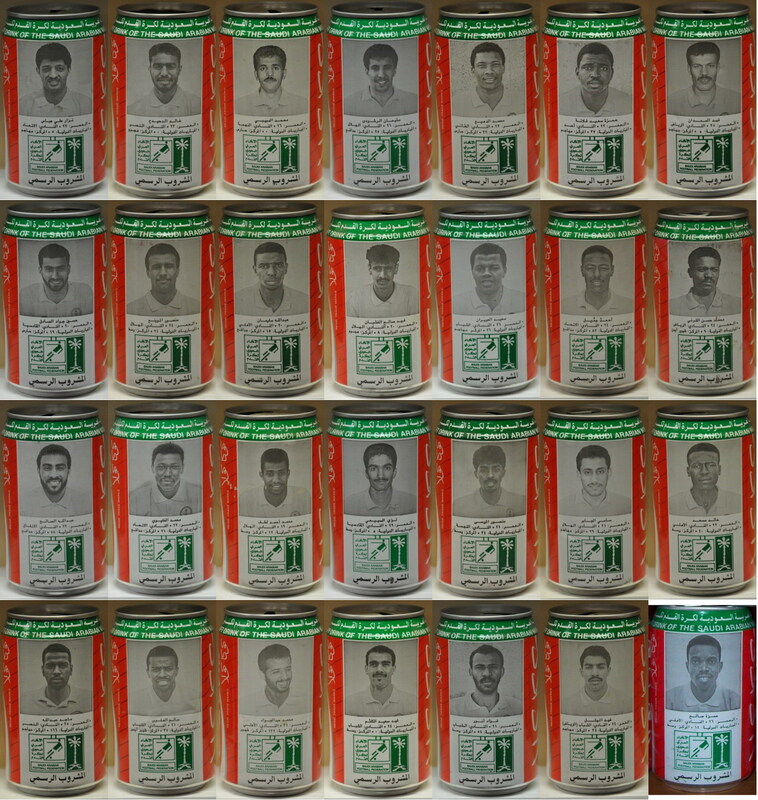 Featured on the "Coke Collectible Cans" that featured various "Gold Star" players on The Saudi Arabian National Team. He is seen in the first row, third can. Abdul Rahman Al-Dabibi, Former Captain of Al-Taawoun FC. Abdulmohsen Al-Bassam, Retired officer in the Royal Saudi Air Force and a former astronaut. He was the back-up payload specialist for Sultan bin Salman bin Abdulaziz Al Saud on STS-51-G.
Dawood Alsulaim, pilot, major general, and former Saudi Military Attaché to the United Kingdom. Saleh Al Abbad, former chief of the Saudi Royal Court. Saleh Al Nugaidan, draughtsman, painter, and photographer. Sulaiman S. Olayan, one of Saudi Arabia's leading businessmen whose autobiography is titled "From Unaizah to Wall Street." Unaizah is well known for its hospitality, hence, there are a variety of tourism Festivals in the year. These include dates, and healthy crops festivals. There is also a bi-annual cultural festival which is a trademark for this city. It was the only city of the Najd region to invite a Saudi Shiite cleric to speak in a public event, in a grass-roots effort to promote a united national identity. This drew criticism from conservatives in neighboring cities. Wikimedia Commons has media related to Unaizah. ^ "YouTube video تقرير قناة الجزيرة عن مهرجان تمور عنيزة الرابع 1429 هــ". This page was last edited on 22 April 2019, at 23:39 (UTC).